Bates-Hendricks Neighborhood, named after the Historic Bates-Hendricks House on South New Jersey Street, is one of the oldest residential areas in Marion County. It has a very active neighborhood association with many engaged neighbors. S: Railroad tracks south of Beecher St.
1st Monday of the month, 6:30pm, Immanuel United Church, 402 Prospect St.
Christian Park Active Community (CPAC) Neighborhood Association is a registered neighborhood association with the City of Indianapolis. The association is open to all residents, businesses, churches, and property owners within the Christian Park neighborhood. The association's goal is to empower those who live and work in the Christian Park area to improve their quality of life by improving their community. 1st Tuesday of the month, 7:00pm, Transforming Life Church, 4626 Wentworth Blvd. 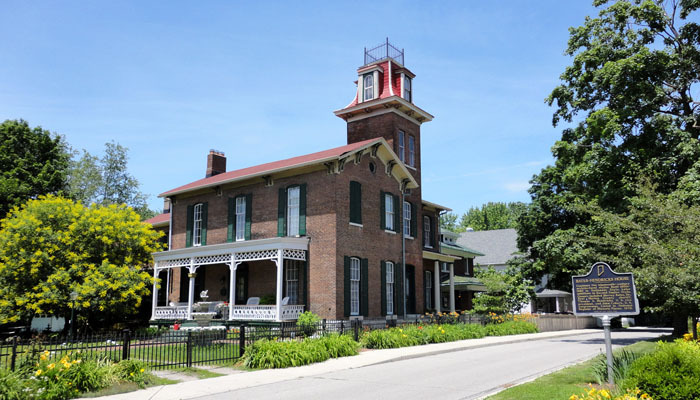 Listed on the National Register of Historic Places, Fletcher Place was established by Calvin Fletcher in the mid-1800s. The area is a fine example of Indianapolis' history, displaying an array of restored homes in a variety of unique architectural styles and organized around a strong neighborhood association. 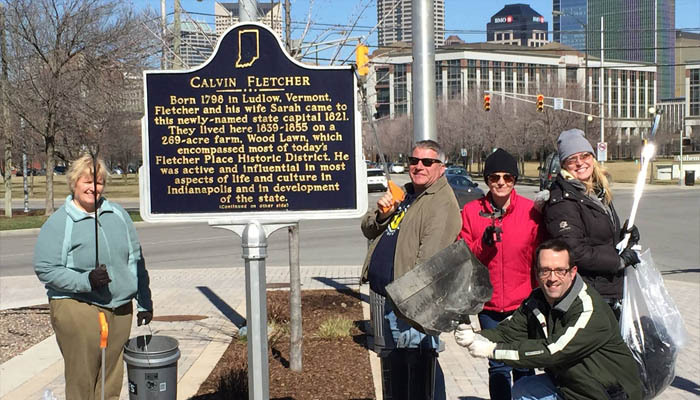 2nd Tuesday of the month, 7:00pm, Fletcher Place Arts & Books, 642 Virginia Ave.
Fountain Square is both a commercial and cultural focal point for not only the Southeast, but the entire city of Indianapolis. It is one of the oldest intact commercial districts of the city and home to many restaurants, bars, and art galleries. 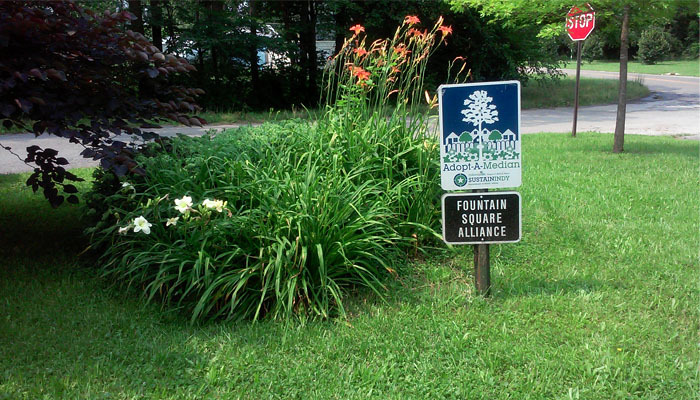 Fountain Square Neighborhood Association is one of the oldest in the area. 4th Tuesday of the month, 2:30pm, Fountain Square Library, 1066 Virginia Ave.
N: Railroad tracks north of Deloss St. 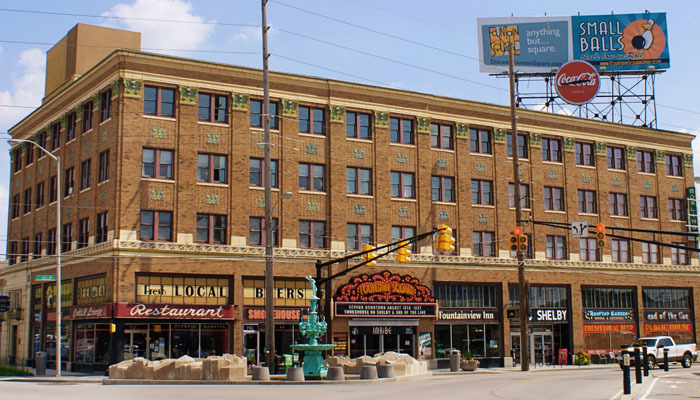 Primarily a residential area, although with some industry, the Fountain Square Alliance began as several block clubs throughout the southeast part of Fountain Square. The clubs eventually came together as one association. Residents are working diligently to create a safe neighborhood that people want to call home, and have partnered with IPS School 19 and neighborhood businesses to clean up the neighborhood and Sandorf Park. In 2015, the FSA, along with their partner, Christ's Open Door Baptist Church, was awarded the SustainIndy grant to build a community garden to serve the residents of the neighborhood. 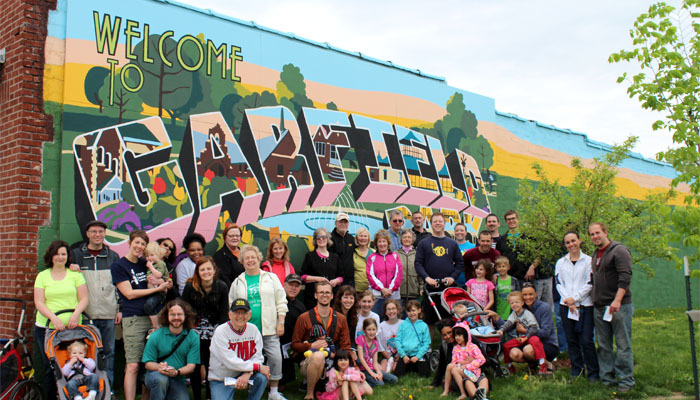 Garfield Park Neighbors Association is a family-friendly neighborhood located south of Fountain Square with easy access to the Pleasant Run Trail, the Indianapolis Cultural Trail, and multiple interstates. The neighborhood is anchored by Garfield Park, Indianapolis’ oldest park, which is a tremendous asset to the area, boasting beautiful European sunken gardens and conservatory, the Garfield Park Arts Center, the Burrello Family and Aquatic Center, the MacAllister Center for the Performing Arts, the historic Pagoda, large wooded tracts, and various recreational amenities. 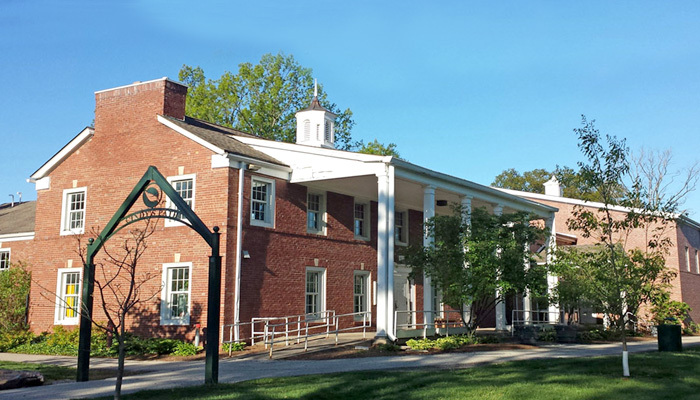 The neighborhood is populated by a healthy mix of long-time residents and young families and features a very active neighborhood association. W: East St. / Madison Ave.
3rd Tuesday of the month, 6:30pm, Burrello Family Center in Garfield Park, 2345 Pagoda Dr. The Holy Rosary Neighborhood is an established neighborhood with mature trees and quiet streets on the southeast side of downtown Indianapolis. The large number of historic buildings and houses in the vicinity lend the area an endearing charm. Although the neighborhood has a small business district and immediate access to downtown amenities, it remains a quiet, residential enclave of its own. In the early 1800s, an influx of working-class Irish immigrants settled in Indianapolis and established Southeast's Irish Hill neighborhood. Early residents were well known for their hard work, interest in politics, and religious devotion. Today, the Irish remain one of the largest ethnic groups in Indianapolis. 1st Wednesday of the month, 6:30pm, Progress House, 201 S. Shelby St.
North Square is home to the award-winning LEED headquarters of Keep Indianapolis Beautiful, as well as one of the oldest Dairy Queen restaurants in the city. Just north of the Fountain Square business district, this six-block section of small cottages is in the midst of extensive rehabilitation. Residents have worked hard to revive and beautify this quaint neighborhood. 1st Thursday of the month, 7:00pm, Southeast Youth Center, 924 Shelby St.
Norwood Place, built in the early 1900s, has always been a diverse working class neighborhood. “A community with Pride,” this neighborhood houses the Pride Community Center and is made up of people of all nationalities and ages. 3rd Tuesday of the month, 6:00pm, Community Pride Center, 1129 S. Vandeman St. 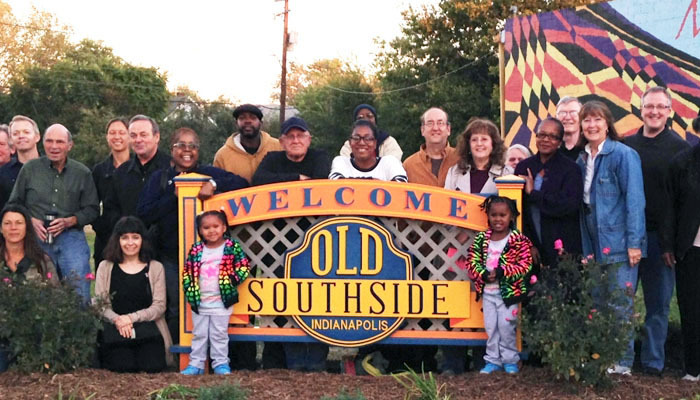 The Old Southside has a rich history of diversity. 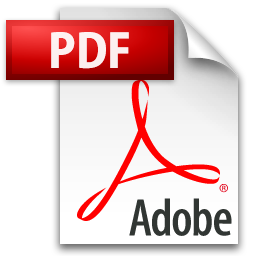 From the German and Irish immigrants of Catholic and Jewish faiths that came in the 1830s, to the influx of African Americans in the 1840s and 1850s. 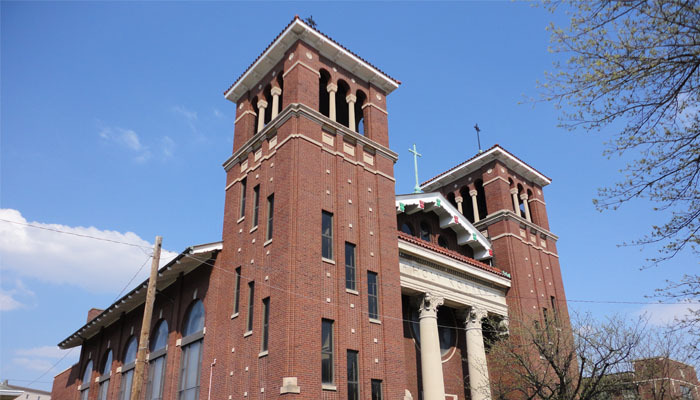 With the establishment of Sacred Heart Church, South Calvary Baptist Church, and Indianapolis Hebrew Congregation's original location, by 1890 the near southside was densely populated and had the highest percentage of foreign-born residents of any district in the city. While the construction of I-70 divided and broke up a neighborhood that now comes together at the intersection of Southeast District, Southwest District, and Downtown, we have unified and found that strength can still be found when we stand united and continue to celebrate our diversity. S: Railroad tracks south of Adler St.
2nd Wednesday of the month, 6:30pm, Sacred Heart Parish Hall, 1125 S. Meridian St. Prospect Falls Neighborhood Association is a young and energetic association reviving one of the poorer areas of Southeast Neighborhood. Residents have worked hard to improve beautification, crime and safety, and infrastructure. In 2010, their efforts were rewarded with the construction of 10 new homes on St. Paul Street as part of the Fuller Center Legacy Build. 2nd Tuesday of the month, 6:30pm, 1330 Villa Ave.
Southeast Community Organization (SECO) was founded in 1994 and is an active neighborhood organization. SECO is home to a 750,000 square-foot facility for Redcats, USA. This leading distributor and retailer of various consumer goods employs many of SECO's residents. S: Pleasant Run Pkwy. / Prospect St.
2nd Thursday of the month, 6:00pm, IPS School #39, 1733 Spann Ave.
Twin Aire is a 1950s-era residential and commercial district. It's one of two primary market areas in the Southeast Neighborhood, hosting a grocery, laundry, hardware store, and bank. Twin Aire sits on the eastern end of Southeast Neighborhood, where it borders the former Citizens Gas plant. The Twin Aire Neighborhood Coalition seeks to rejuvenate this brownfield into a successful commercial and light industrial site that supports thriving residential life. 2nd Tuesday of the month, 6:30pm, The Power of Prayer Community Church, 225 S. Parker Ave.